"DEAL DIRECT WITH THE MANUFACTURER"
Our friendly sales team can offer helpful advice on all replacement rubber tracks quotes and orders. Our team are fully trained with many years of experience which ensures any technical advice is easily accessible to every customer. We supply tracks for all makes and models of industrial machinery across the world. At GTW we pride ourselves in offering high quality products at affordable prices with large stock quantities held throughout Australia and New Zealand with express next day delivery applying for most locations! R'Tracks – Our standard tracks, manufactured to a high quality. 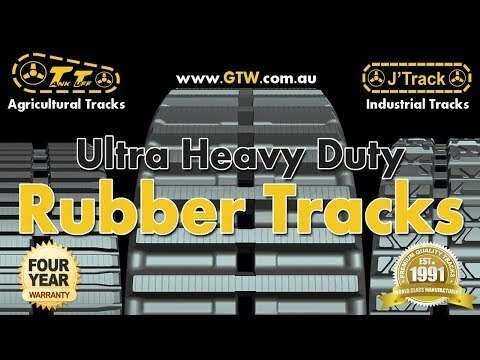 J'Tracks – Our heavy duty tracks, manufactured to a premium OEMQuality. P'Tracks - CAT/ASV Style Rubber Tracks for Posi-Trac Loaders. 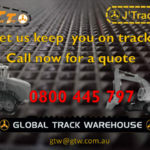 Ag’ Tracks – Our newest line of heavy duty tracks, manufactured to a premium quality and they are available now at extremely competitive prices. We already have a large range available, designed to fit most makes and models of Agricultural machinery on the market! Grey/White non-marking tracks.. Rubber Track Pads - Bolt on, chain and clip on available.